It seems like e-cigarette features that were new and amazing just a few months ago have already become fairly standard. As such, the Aspire Premium Kit with Nautilus Mini Tank has lots of standard features. It also has a couple of things that are still pretty original: a Bottom Vertical Coil (BVC) and ceramic wicking. The unit is slick looking and is a little weightier than standard eGo styles, but it’s not as cumbersome as a mod. It’s an intermediate kit for anyone who wants increased control over their vaping experience. Click reveal coupon code and add it during checkout on the Mt. 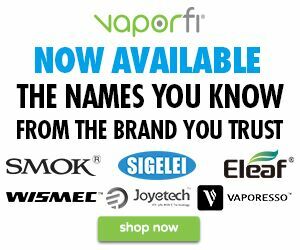 Baker Vapor website to save 10% on your Aspire Premium Kit purchase. The adjustable voltage setting on the Aspire CF VV+ 1,000 mah battery is clearly visible. Nautilus Mini Tank: Made from Pyrex glass and stainless steel, this tank has 2 mL capacity and easy-to-read, graduated markings. The mouthpiece is a removable, stainless steel drip tip, and the tank has airflow control with four adjustable ports that let you find just the right balance of vapor quantity, warmth and draw effort. CF VV+ Battery: Variable voltage is almost expected these days, and Aspire meets that demand. Along with printed voltage readings, distinctive ring clicks make it easy to determine each setting. Steel endpoints and floating spring connectors that don’t compress with repeated use ensure strong contact with the tank. The battery accepts both eGo and 510 threaded tanks, and it also has carbon-fiber coating for added durability. USB Charger/Wall Adapter: The Aspire Premium Kit comes with a standard USB charger and an attachable wall adapter. However, it doesn’t allow pass-through use since the charger attaches to the 510 connector. The adjustable airflow ring of the Aspire Nautilus Mini is visible on the right. BVC Atomizer: Bottom-coil atomizers are known for producing great flavor and vapor because the wick stays wet without tilting. Yet a small bit of fiber placed within a horizontal coil can still produce dry hits and burned taste. 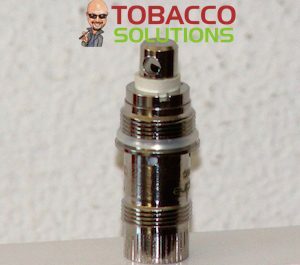 The BVC atomizer has a thick layer of material wrapped around the vertical coil to keep the liquid flowing, and the design also minimizes or eliminates the gurgling that some clearomizers produce. 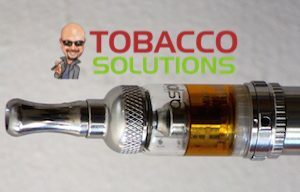 Ceramic Fiber: Although Aspire advertises no wick in the Aspire Nautilus Mini, what they mean is that it’s not standard polyfill. The ceramic material can handle hotter temperatures, which allows higher voltages and improved vapor without burning. Most users report noticeable increases in flavor and vapor along with near elimination of dry hits with the BVC, ceramic-fiber combination. One drawback that some users noted was short battery life. If you regularly turn up the voltage, it’s logical that battery life decreases. Still, some users might prefer a more powerful battery. The Aspire BVC 1.8 Ω atomizer creates some rich flavor and abundant vapor. Another concern involves the ceramic wick. Although there’s a fine-mesh screen between the material and the e-Liquid, some users are concerned about inhaling bits of fiber. One demonstration showed the dry fiber clearly shedding particles. However, another one showed the wet fiber after heavy use, and the material appeared to remain intact without shedding. 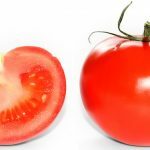 The caveat is that it would be difficult to visually detect the loss of tiny particles from the total size. In response to concerns, Aspire released a public report stating that the wick material is made from safety-tested bio-ceramics. Similar materials are frequently used in medical procedures, such as joint replacements. They’re considered biocompatible, but Vapers will have to decide if this unit is right for them. Most people report high satisfaction with the Aspire Premium Kit. Tight fit for bottom hardware due to silicon seal.